A quick Google search shows that there are plenty of different examples of businesses that have been able to grow their e-mail list, social media accounts, and sales with a quick giveaway. There are many more businesses that have achieved the same success with a giveaway. But what’s in the secret sauce that makes them so tremendously successful? How do they really do it? 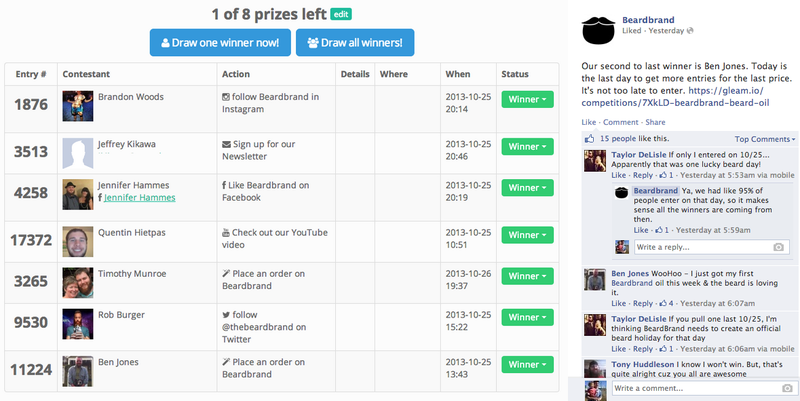 Let’s take a closer look at how to run a successful giveaway and viral contest. If you already have a few customers, let them know about the giveaway and contest too! Chances are, if they’ve purchased a product from you in the past – they’ll be thrilled to hear about getting a new product for free! Use your favourite email marketing tool to send an email to your existing customers to inform them about the giveaway. While your giveaway is in full swing, be sure to update contestants throughout the length of the contest and remind them to complete certain actions to earn additional entries. Depending on your giveaway, you might be giving away products throughout the duration of the contest too – so be sure to keep anyone updated on those prizes as well! Depending on what product is is that you’re giving away, you can even have the winner share a picture of them with the prize. Now that we’ve taken a look at how to grow your business with giveaways and viral contests, what are you waiting for? Try running a giveaway now!